Goods must fit the description used in any advert, label, or packaging etc which refers to them. This may include the year or make, type, colour, size or materials used. These must be accurate. The goods must also be of satisfactory quality. This means that unless they were sold as damaged stock, they should not have any faults, even minor ones. Goods should be reasonably durable, although this is hard to define. The products should be fit for their purpose, which means that they should be capable of doing the job that they are meant to do. If you carry on using a product after a fault has been discovered you may lose the right to a full refund. If however the product was faulty when you bought it and this is discovered within 6 years (5 years in Scotland), you can claim compensation. If a consumer complains within a ‘reasonable amount of time’ of purchase (normally within 6 months), the retailer has a legal obligation to resolve the problem, if the goods do not meet these requirements. You should ask for a replacement or a repair. If this is too expensive, the shop can offer you a full or partial refund depending on the defect and the amount that you have used the product. If a consumer takes an ‘unreasonable amount of time’ to complain, he or she will be entitled to compensation for faulty goods, but this will normally be the cost of repair. In these circumstances the consumer cannot reject the goods and get a full refund. If you just change your mind about a product you are not entitled to a refund or exchange but many shops will offer an exchange or refund as part of their goodwill policy. For a successful claim you do not need the receipt, only proof of purchase such as a bank statement. Complaints should be made to the retailer rather than the manufacturer. This Act states that only safe goods should be sold. The manufacturer or seller of a defective product is responsible for any damage it causes. Local councils have the power to seize unsafe goods and suspend the sale of suspected unsafe goods. Misleading price indications are also illegal. This Act states that work covered by a contract, such as plumbing, dry cleaning, or building, must be carried out with reasonable skill and care, within a reasonable time, and for a reasonable price (if that’s not stated). If something goes wrong as a result of the work done, the contractor should be asked to put the work right, and if he or she won’t, another contractor may be employed to rectify the problem. The cost of this may be claimed from the original contractor. If terms in pre-printed contracts are unreasonable the Office of Fair Trading can make a company change its contracts. The regulations apply only to standard pre-printed contracts. The Consumer Credit Act regulates credit card purchases as well as giving consumer protection in the case of loans or hire agreements. services, the consumer can claim from the finance company, if the supplier will not rectify the problem. 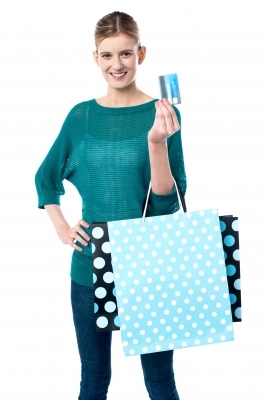 Many but not all credit cards provide insurance for purchasers. insolvent or reasonable steps have been made to pursue the seller without a satisfactory outcome. information must be provided before a regulated credit agreement is made including the nature of the agreement and the parties to the agreement. signed by both parties and a copy of the agreement and given to the borrower either at the date of signing or within seven days. the loan company must repay all sums which the consumer has paid. 6. The Financial Services (Distance Marketing) Regulations apply where a credit agreement is entered into at a distance, for instance over the phone. consumer can change their mind and cancel the agreement, in which case the amount borrowed along with interest that has accrued must be repaid. Where the amount of credit exceeds £60260 or the contract is secured by land, the agreement cannot be cancelled. method to pay unless they have some other right to cancel the main contract. A borrower has the right to obtain a copy of their credit file for a payment of £2 from the credit reference agency which the lender has used to assess their request for credit. If a borrower believes that the credit file contains inaccurate or out-of-date information they can ask for it to be amended under the Consumer Credit (Credit Reference Agency) Regulations 2000. The borrower needs to provide proof of why the information is wrong. The agency then has 28 days to remove the entry from the file, amend the entry or take no action. If it amends the file a copy of this should be sent to the borrower. If a lendee decides to pay off all or part of a loan or other credit agreement early, they should not have to pay the full amount of interest in the agreement. The Regulations set out the method of calculating the rebate and the form and content of settlement statements. The credit provider should provide a settlement statement within 7 working days. If this does not happen or the outcome seems unfair, the matter should be referred to the Financial Ombudsman Service and the local Trading Standards Department. These superceded the Distance Selling Regulations and Doorstep Selling Regulations. They apply to all purchases made at a distance including shopping online, by mail order, over the phone or through a TV shopping channel. 1. A trader can no longer charge for additional items added by a pre-ticked box online. 2. A service contract such as sports club membership can be cancelled online 14 days after it has been entered into. 4. Goods should be delivered without undue delay,within 30 days at the very least unless the consumer agrees otherwise. 5. Calls to consumer helplines should be charged at the basic rate and not a premium rate. This Act protects the consumer from false or fraudulent claims that induce them into buying something or entering into an agreement. Such misrepresentation is a statement of fact made by the seller before the contract is made. without believing it is true, or, they make it recklessly. believed the facts represented were true. grounds for believing its truth. Financial loss may be recovered in some circumstances. parties into the same position they were before the contract was made. The court has the discretion to award damages instead of ending the contract but it cannot award both. evidence of accepting the position and may give grounds for denying a remedy of rescission. The Act was passed to control the way computer data is handled and to give legal rights to people who have information stored about them. The Act requires every organisation processing personal data to register with the Information Commissioner’s Office (ICO) unless they are exempt. Exemptions include data held for national security reasons and for domestic purposes. Once registered companies must obtain data fairly and within the law. Data must only be held and used for the reasons given to the Information Commissioner. It can only be used for those registered purposes and only disclosed to those people mentioned in the register entry. The information held must be adequate, relevant and not excessive when compared with the purpose stated in the register. It must be accurate and be kept up to date. It must not be kept longer than is necessary. It must be kept safe and secure and files may not be transferred outside the European Economic Area, unless the country that the data is being sent to, has a suitable Data Protection law. A person whose personal data is stored is called a data subject. Data subjects have a right to be supplied with the personal data held about them. They have a right for mistakes in the data to be corrected and to prevent the use of information if it is likely to cause them distress. They may stop their data being used to sell them goods and services. They may specify that they do not want their data used to make ‘automated’ decisions about them, for instance where a computer uses a points scoring system to make a decision about a loan application. Data subjects have the right to complain to the Information Commissioner who can review how their data is being used. They also can use the law to get compensation for damage where personal data is inaccurate, lost or disclosed.